As an artist and fashion blogger, I always try to incorporate the two aspects of my life into one, as I think of both fashion and collage as a very similar art form which I love equally. So today I'm so happy and proud to reveal a project I've been working on for a couple of months now; the launch of my very own t-shirts on sale at Cooper Bloom! I worked closely with the design team to merge one of my existing mixed media fashion collages, with a photograph taken by Rachel Cottam, and edited by the very talented team at Cooper Bloom. It look a whole load of ideas, different compositions and a range of photographs from my recent blog photos to finally come up with this design, and I couldn't be happier! It seems pretty surreal to be even writing this right now, and I was literally so shocked when i was asked if I would like my very own t-shirts to be launched on a fashion website.... I'm just a normal 22 year old living at home who spends way too much time on Instagram and loves vintage shopping a hell of a lot. I'm super happy with the design and the fit of the t-shirts (i'm wearing a medium by the way), and even the packaging has a high attention to detail. 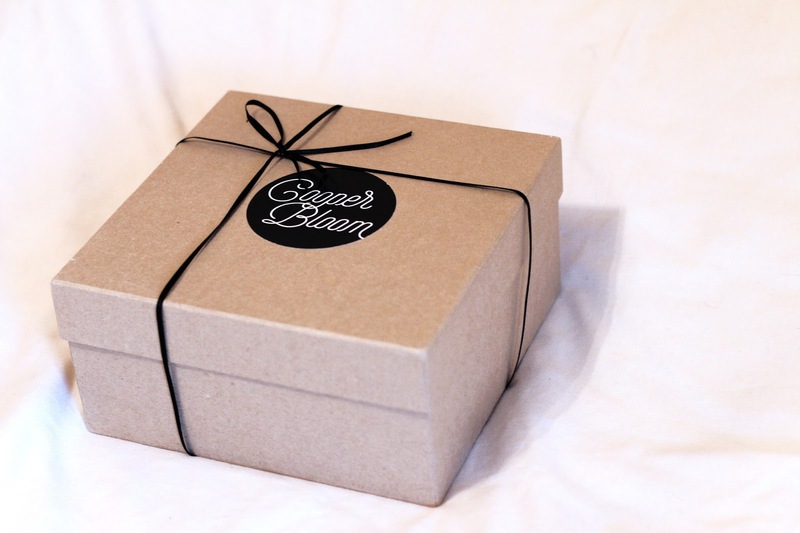 I received mine in an adorable brown box with a hand tied bow on top, with the t-shirt wrapped in tissue paper accompanied by a Cooper Bloom sticker. And yes, I had to Instagram it. It would mean so much to me if you guys visited the Cooper Bloom website and let me know what you think! Collage Me Pretty T-shirts are now available for just £22 HERE! Cool look, love the t-shirt!